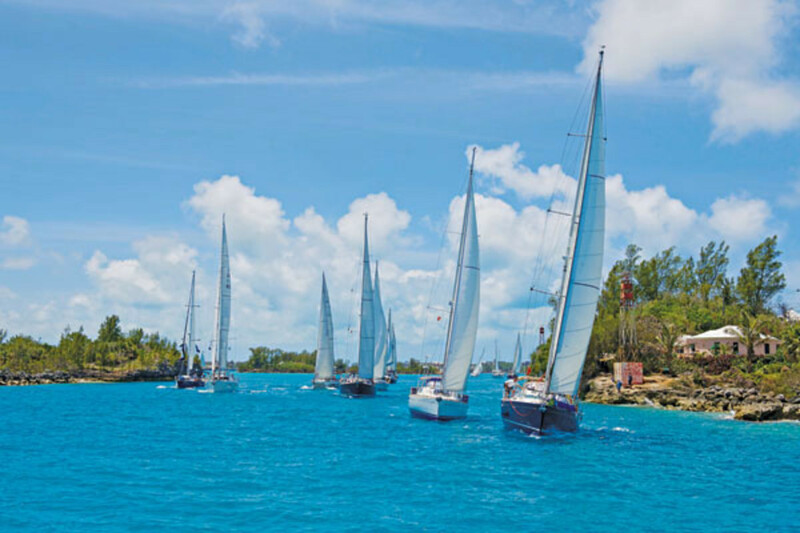 On arriving at St. Georges, Bermuda, this past May to cover the 2012 ARC Europe rally, I quickly found there were four boats in particular that had already formed an unusually close bond. On arriving at St. Georges, Bermuda, this past May to cover the 2012 ARC Europe rally, I quickly found there were four boats in particular that had already formed an unusually close bond. 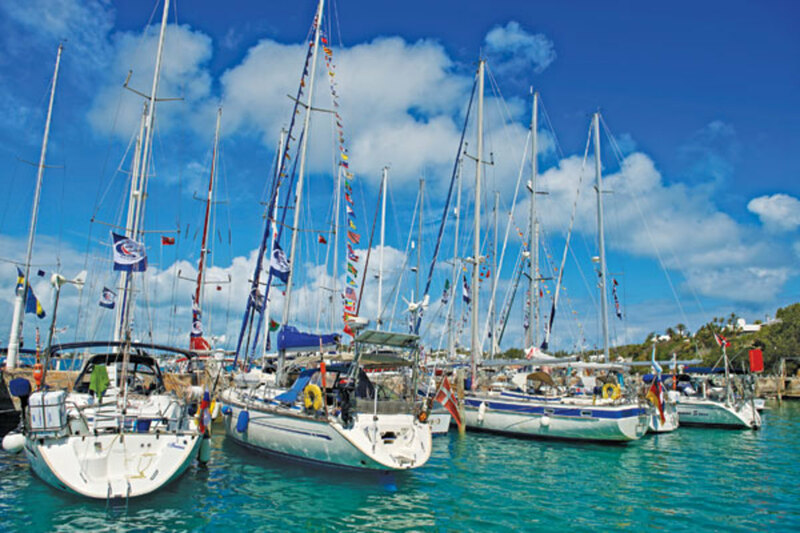 Twenty-four boats—mostly European—had started the rally on May 5 from Tortola in the British Virgin Islands and sailed north together in moderate conditions. These crews had formed reasonably close ties, as one would expect in any well-run cruising rally. But the much smaller group that left for Bermuda from Hampton, Virginia, had already survived a crucible of sorts. These four boats—three American, one Dutch—had struggled against headwinds much of the way, including a brisk northeasterly that kicked up strong seas in the Gulf Stream. 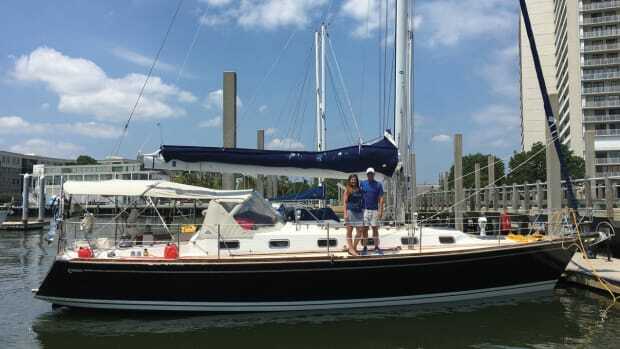 David and Lisa Locy and their crew on Sage, a Bristol 45.5 centerboard sloop, had confronted the biggest problems. Sage’s bow pulpit broke apart, her autopilot failed, the clew ring on her in-mast furling mainsail pulled out and finally she lost her engine and had to make the last 20 miles into Bermuda (in light wind, of course) under sail alone. 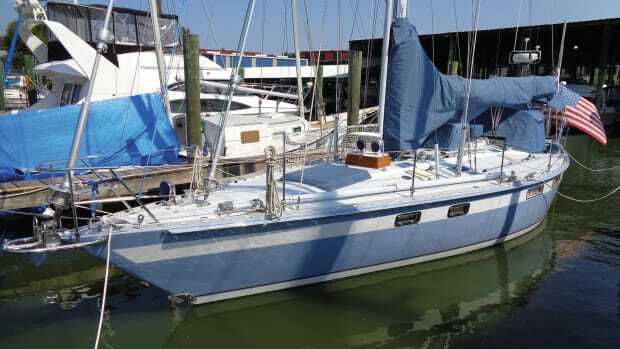 Meanwhile, on the Shannon 43 Wild Goose, when owners Linda and Hugh Moore weren’t celebrating their 25th wedding anniversary at sea, they were working with their crew to cope with leaking fuel lines and an uncooperative chartplotter. In spite of their difficulties, they were relentlessly upbeat when I met them. They’d been planning this voyage since they first married and now were very determined to enjoy it. 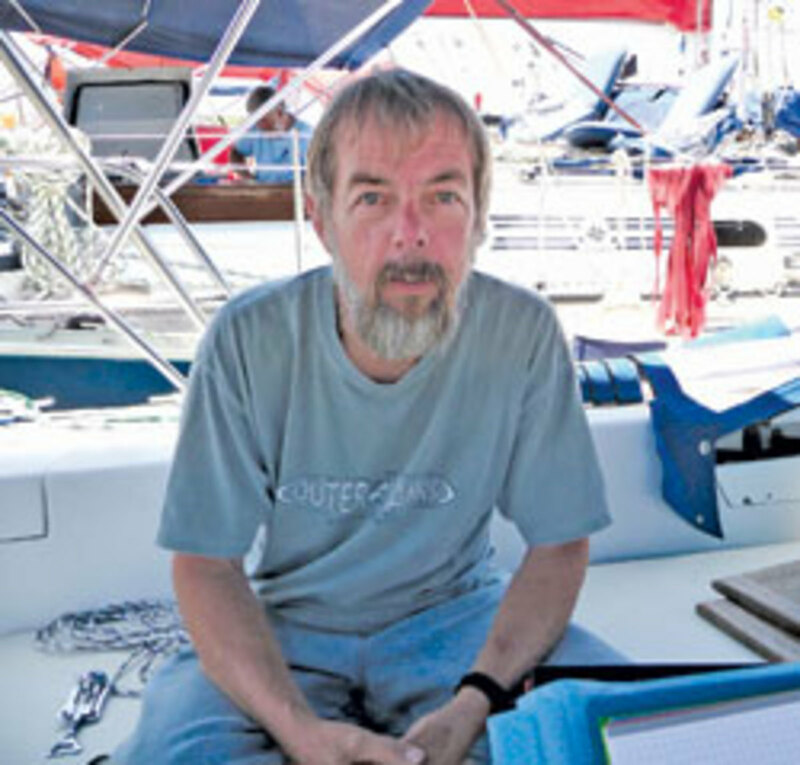 Aboard First Edition III, a Catalina 42, owner David Leyland and his crew had to come to terms with a dead alternator.  David had also had to rush to finish a complete overhaul of his rig just prior to the passage—all new standing rigging, with runners, plus a new inner forestay—and he’d only barely made the start with the other Hampton boats. In spite of the stress, he seemed the calmest and most possessed of the skippers I met, though he had only five years’ sailing experience and had never before been offshore. 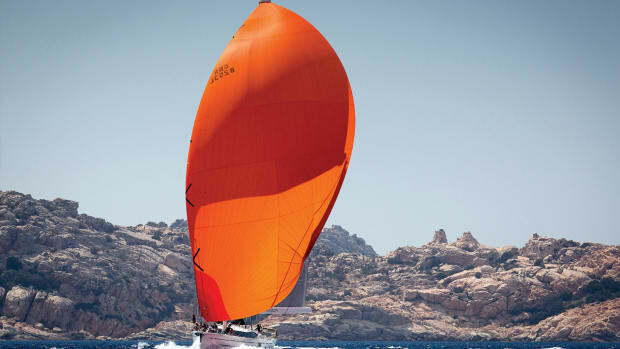 The only Hampton boat that hadn’t had serious problems while beating through the Gulf Stream was Outer Limits, a tidy Hanse 370 (the smallest boat in the entire 2012 ARC Europe fleet) owned by an enthusiastic Dutchman named Joost Gehrels. He had been cruising the West Indies and the U.S. East Coast since coming across from the Canaries with the 2008 ARC fleet and now, at last, was headed home with a fantastic pickup crew he’d assembled online. Although Joost had no real trouble sailing out to Bermuda, he did have to contend with Hugh on Wild Goose, who in a good-natured bit of fun had spent some time on the radio messing with his head. According to Hugh, he and Joost were crossing tacks within a few miles of each other and had pretended to race all the way out from Hampton. What I saw in Bermuda was the merging of the two groups prior to their starting off together for Horta, on Faial in the Azores. 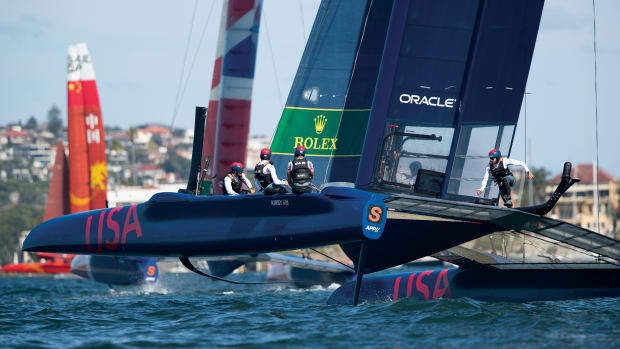 After the Azores the fleet would split up again, with some boats heading to the U.K. and northern Europe, while most others made for the official finish line in Lagos, Portugal. In the end, it was only here in St. Georges that all the boats spent any time in one place. The happy union of the fleet was most explicitly symbolized by the spontaneous formation of a musical group: Hugh from Wild Goose on banjo, who teamed up with John Simpson (guitar and trumpet) and Mikaela Meik (violin) from the British Warrior 40 Chiscos, plus Andrew Siess, crew from Outer Limits (also on violin). The start out of Bermuda on May 16 was spectacular, with all the fleet streaming out Town Cut at St. Georges under sail together. But soon enough the group from Hampton felt fate pressing them again. The first shoe dropped aboard Outer Limits, just two days out of Bermuda, when she struck what is believed to have been a whale late at night and started taking on water. 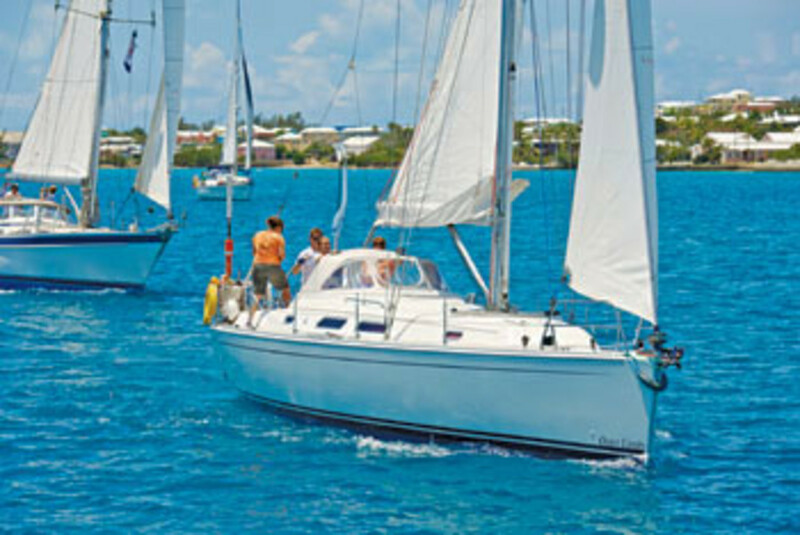 Joost hoped his pumps could keep the boat afloat long enough to get back to Bermuda, but soon he called for an evacuation. 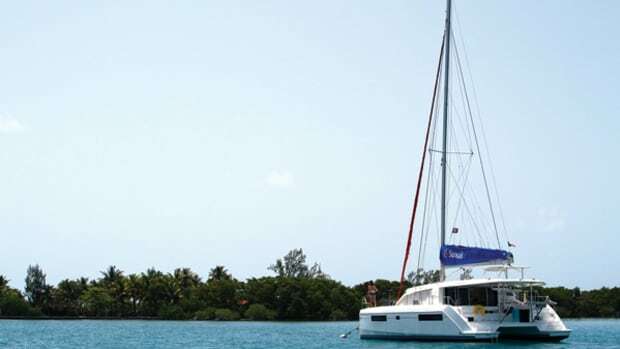 It was one of the Tortola boats, Halo, a British-flagged Hallberg Rassy 42 manned by doublehanders Mike and Alexandra Bailey, that stood by patiently while Joost and crew boarded a 36,000-ton container ship bound for Italy as Outer Limits started sinking beneath the waves. But it was among the Hampton boats, particularly on Wild Goose, that the loss was most acutely felt. The other shoe—several of them actually—was dropping aboard First Edition. 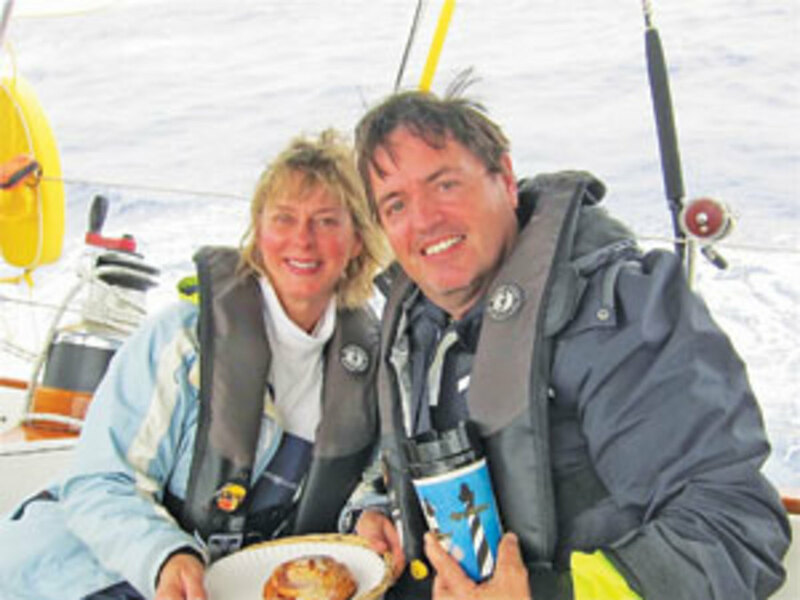 Thanks to that dodgy alternator, David and his one crewmember, Susan McGuire, were delayed leaving St. Georges, but soon were trailing along at the back of the fleet as it headed for the Azores. Within a few days, amazingly, they found themselves within VHF range of both Wild Goose and Sage, their old compatriots from Hampton. At times the three boats even had each other within sight. But First Edition was also now having rigging problems. Her new standing rigging was stretching, and the wood chocks at the mast partners started falling out. Her autopilot’s ram also started leaking hydraulic fluid. 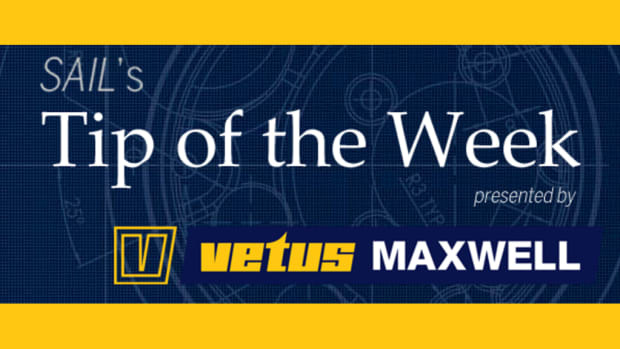 The kicker came when the slower boats in the fleet got caught in a gale approaching the Azores (see “WX Rules” on pg. 49). On First Edition, given the sketchy rig, David and Susan decided to heave-to once the wind reached 30 knots. “While congratulating ourselves on how smart we were, we were hit by a rogue wave,” noted David. “The sensation was like being broadsided by a locomotive.” And the damage was considerable: the boat’s cockpit dodger was crushed, furniture inside sprang loose, and the hull around the leeward chainplates was cracked. Finally, three days later, First Edition limped into Faial. 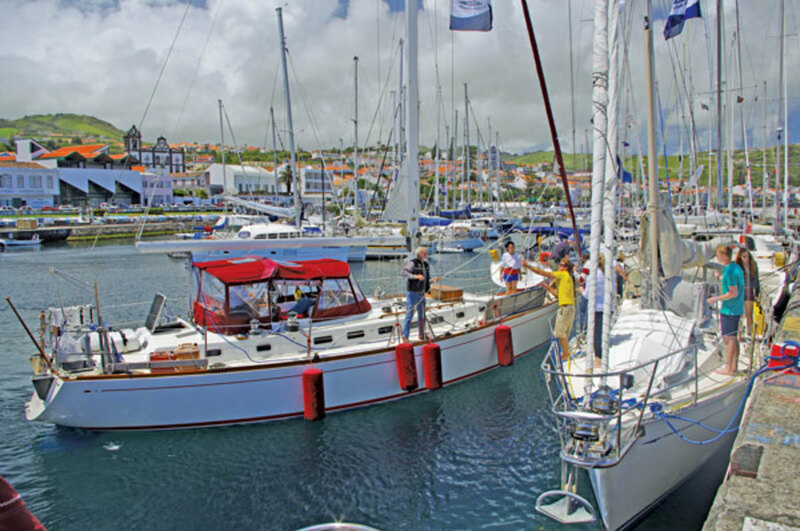 For most boats in any ARC Europe fleet, the Azores are the great highlight of the trip. This gorgeous archipelago, studded with flowers and friendly Acorianos, truly is the garden spot of the North Atlantic. 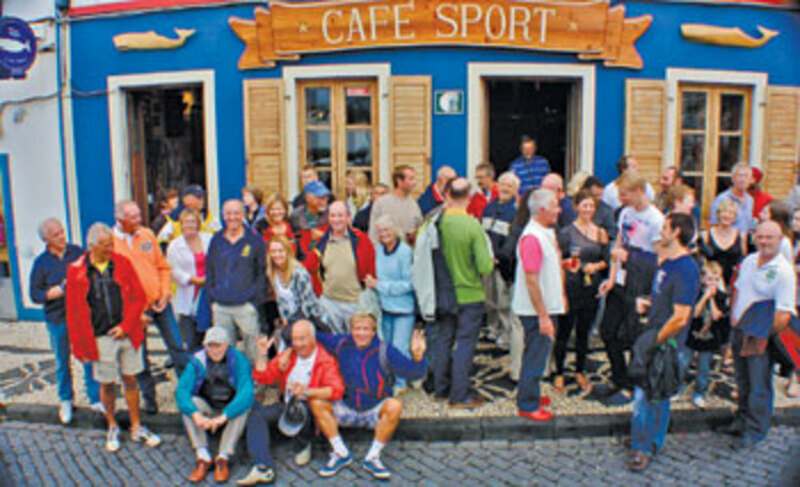 The rally organizer, World Cruising Club, wisely has its charges linger here and sends them to four different islands—Faial, Terceira, Sao Miguel and Santa Maria—before restarting them for Europe. David at first believed he’d be in Horta for weeks repairing his boat, but the damage, fortunately, was not as bad as he first thought. His crew, Susan, moved on, but eventually he found a replacement. Finally, Wild Goose and First Edition left Horta bound for Lagos on June 12 within a few hours of each other, nine days after the rest of the fleet. They were rewarded with spectacular weather. Day after day the pair of stray rally boats enjoyed ideal southwesterly winds as they sailed for Portugal. Every few hours they called each other on their SSB radios. And again, as they had with Joost, Hugh and Linda found themselves in an informal race. David wished he’d bent on his genoa instead of his jib so he could catch and pass the crew of Wild Goose, but no one really was too terribly concerned about who got to Lagos first. When last I communicated with them, both boats had safely arrived, were warmly greeted by other ARC Europe crews, and were looking forward to a summer season in the Med. David ultimately planned to transit the entire Middle Sea to Turkey, where he and his girlfriend own property in a coastal town called Kas. Hugh and Linda, who are now realizing a dream they have shared for a quarter of a century, were thinking they might winter nearby. For months I have been low-key, flying under the radar about our plans to sail across the Atlantic. To talk about it, instead of just doing it, seemingly would jinx our ever making it happen. Hopefully, it is now not premature to say that Hugh and I have sailed Wild Goose across the Atlantic, which is step one of the next phase in our lives. 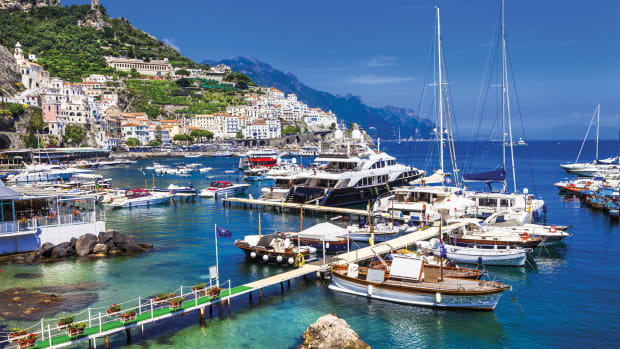 Now that we are in the Med, we’ll be living the sea gypsy lifestyle and enjoying what each new port has to offer.